Perishables and South Florida: TradeNumbers in perspective - WorldCity, Inc. Fruits, flowers, fish and live horses come in, while medicines, medical products, meat, and perfumes head out. That’s just some of what happens daily at Miami’s three great international nodes: Miami International Airport, Port Everglades and PortMiami. Giving insight into the flow of produce, plasma and poultry is WorldCity’s 2016 Perishables Trade Numbers, which gives a nation-wide overview; and WorldCity’s first ever 2016 PortMiami Trade Numbers. 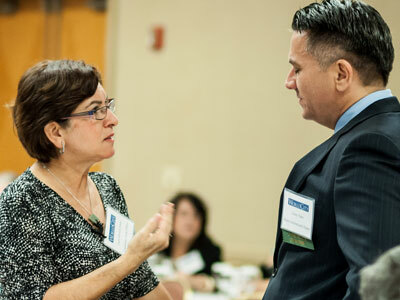 Both publications were released Aug. 26, 2016, at the group’s Trade Connections event held at the InterContinental Hotel at Doral. 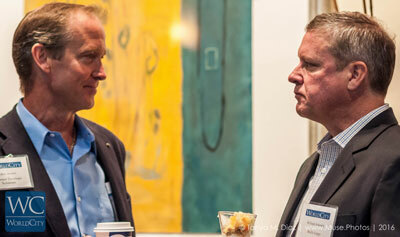 The event featured three executives describing how products move from ports to people in everyday life. Speakers were Jose Concepcion, regional vice president for Central America, the Dominican Republic and Haiti at shipping company Seaboard Marine; Martin Caminos, commercial director for Latin America and the Caribbean at Kraft Heinz; and Wanis Kabbaj, Marketing Director – Healthcare Strategy at UPS. The trade numbers set the stage for the panelists and audience. Across the United States, the top 50 perishable exports in 2015 totaled $171 billion, a 6.34 percent drop from the previous year. Medicine topped the list, followed by soybeans, biological products, corn and nuts. The 50 top perishable imports ticked up 8.23 percent to $191 billion, also led by medicines, followed by blood, plasma, vaccines and lower down the list, alcohol products as well as prepared and fresh foods. 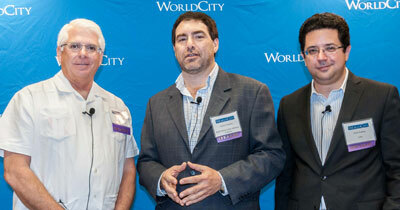 South Florida’s numbers reveal why the region is “Latin America’s shopping cart,” as WorldCity CEO Ken Roberts put it. For perishable exports, MIA’s top seller by value is medicines, while perfumes are No. 1 for both Port Everglades and PortMiami. For imports, MIA’s top product by value is fresh-cut flowers, while cigars and cigarettes rank first for the two South Florida seaports. The seaport is tops nationally in cigar imports, second for perfume imports, and, believe-it-or-not as we swelter through the hurricane season, No. 5 among the nation’s 475 airports, seaports and border crossings for sweater imports. Copies of the publications can be obtained through the WorldCity website, www.worldcityweb.com. Against this backdrop, UPS, Kraft and Seaboard gave a close-up view of how a variety of factors influence trade. To get the discussion going, Roberts asked the panelists to comment on the current business climate. Kabbaj said that global trade has been somewhat soft, but he expects to see an increase next year. What’s more, he said, UPS is benefiting from both electronic commerce and its decision to focus on the transport needs of the healthcare sector. “We’ve had some headwinds,” remarked Caminos of Kraft-Heinz, who noted that the U.S. economy has slowed somewhat and uncertainties remain. For Seaboard, noted Concepcion, volume has stayed steady. Asked to expand on the healthcare initiative, Kabbaj said that as far back as 2006, UPS began looking to meet the transport requirements of the healthcare sector. That goes beyond carrying small packages, but means working with companies to understand their needs for swift transport; products that needs specific refrigeration requirements or special packing. The company has 5,000 employees dedicated to the healthcare sector, he said. “The beauty of the market is that it is growing in both developing and mature markets,” he said [which seems to be borne out by the import/export breakdowns]. The company plan’s to be in 80 percent of the world’s healthcare markets, which includes expanding in Latin America. It already works in the healthcare markets in some Latin American nation. Seaboard, said Concepcion, has seen an increase in shipments from produce growers overseas. Advances such as atmosphere-controlled containers means even delicate fruits and vegetables now can arrive in the United States in good shape, with growers’ packing becoming more sophisticated as well, he said. To reach its 80 percent global penetration goal of its healthcare specialty, said Kabbaj, UPS is pursuing on a country-by-country strategy versus a regional approach because customs and other regulations vary so widely. UPS is also working with carefully selected and vetted third party agents, acquiring companies when it makes sense and building a custom operation with a major pharmaceutical firm, said Kabbaj. Temperature control on the tarmac and at your doorstop? “What are the sensitive stops when it comes to sensitive cargo?” asked Nehama Bikovsky, president at Maritime Consulting Enterprise. One approach for Seaboard is monitoring shipments in real time, and providing its own convoys, from port to destination. 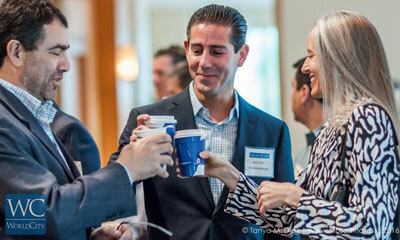 Trade Connections is one of four event series organized by media company WorldCity to bring together multinational executives in greater Miami. The Trade series is sponsored by American Airlines Cargo, PortMiami and Miami-Dade County Aviation Department. 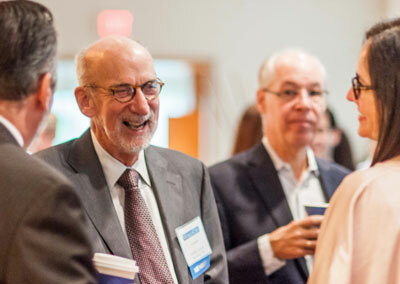 The next Trade Connections event is set for Oct. 14 and will be the Second Annual National Export Forum.